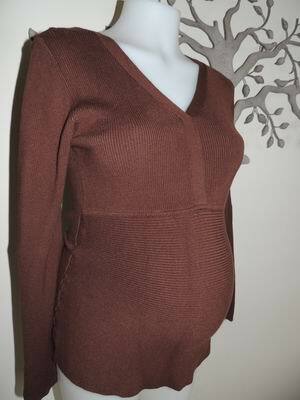 This a beautiful finely ribbed lightweight jumper, great for all seasons and perfect for showing off your bump. It is by Belly Basics and is new. It has long sleeves and a flattering neckline. Be the first to review “NEW Belly Basics Chocolate Fitted Maternity Jumper” Click here to cancel reply.